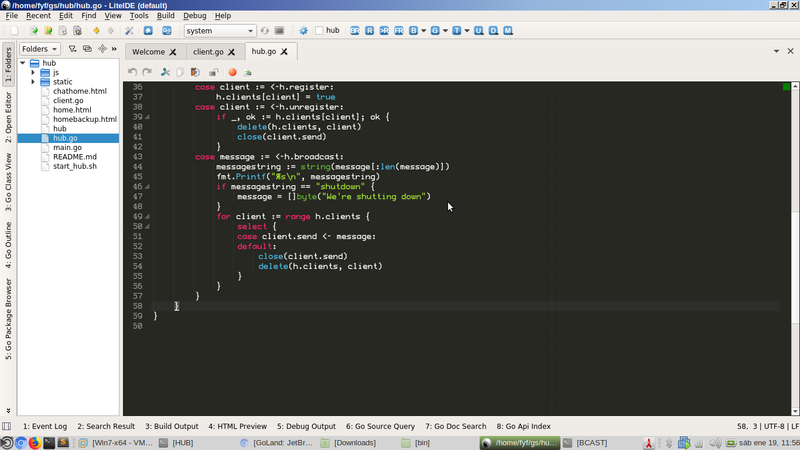 LiteIDE is a Free, QT-based, pretty decent and lightweight IDE for the Go programming language. I can't escape the feeling that LiteIDE would be more popular if only they hosted their project at a non-sourceforge website. I also took a look at IntelliJ's commercial IDE called GoLand, but it's not exactly lightweight, and it's definitely not Free.